We wish you and your family all the best this holiday season and for a prosperous New Year. 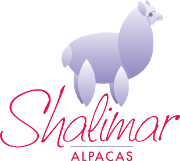 We appreciate so much our members, vendors, sponsor and friends of the alpaca industry. We hope you enjoy time with your loved ones and that you all have a prosperous New Year. As 2018 comes to a close, we would like to send out some updates and a few reminders. Membership renewal is open for 2019. If you have not yet renewed, be sure to read through the benefits of membership& along with the marketing and benefactor packages. Don't let your membership expire, renew today! Proposals for the 2019 AOA Natural Fiber Extravaganza are due January 15, 2019. Read AlpacaGram 5.81 for more information and application instructions. Registration for the AOA National Alpaca Show will open January 3, 2019. Watch for the AlpacaGram announcing this after the first of the year. The 2018 EPD calculation was completed and uploaded online. For more information see AlpacaGram 5.87. The Student Design Competition is seeking material donations. For details reference AlpacaGram 5.88. The AOA office will be closed the week of December 24, 2018; open on December 31, 2018; closed on Tuesday, January 1, 2019; and returning to the office on January 2, 2019. Starting in 2019 the office will be open Fridays! Our new hours are Monday–Friday, 7:30 a.m.–5:30 p.m. central time.